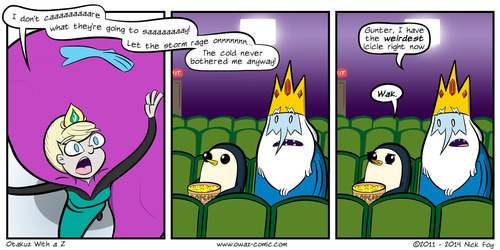 ice king and 퀸 comic. Read this its funny. Wallpaper and background images in the 핀과 제이크의 어드벤처 타임 club tagged: photo. This 핀과 제이크의 어드벤처 타임 photo contains 애니메이션, 만화, and 만화책. There might also be 스테인드 글라스 창, 슬롯, 하나의 슬롯 머신, 1 명의 무장 한 적기, 무장된 한 산적, 슬롯 머신, 동전 기계, and 코인 머신.